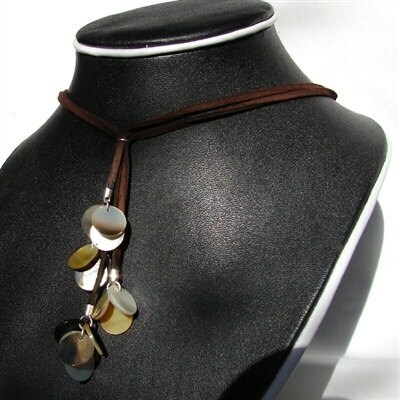 Black lipped shell coins dangle from varied lengths of deer skin lace in a lariat design that's casual yet elegant. Beach wear for any where. Length is 16 inches to the point where the lace strands come together - if you need an different length just state your needs during the check out process.